Too bad, they sound good. How are you guys getting these offers? Pie Lady wrote: Too bad, they sound good. How are you guys getting these offers? Jewel posts the word of the day deals on their Facebook page. I think they may also email them. They're also posted on Twitter. I'm not aware of any emails though for "word of the day". They do email out the "Saturday Samplers" preview early Saturday morning. 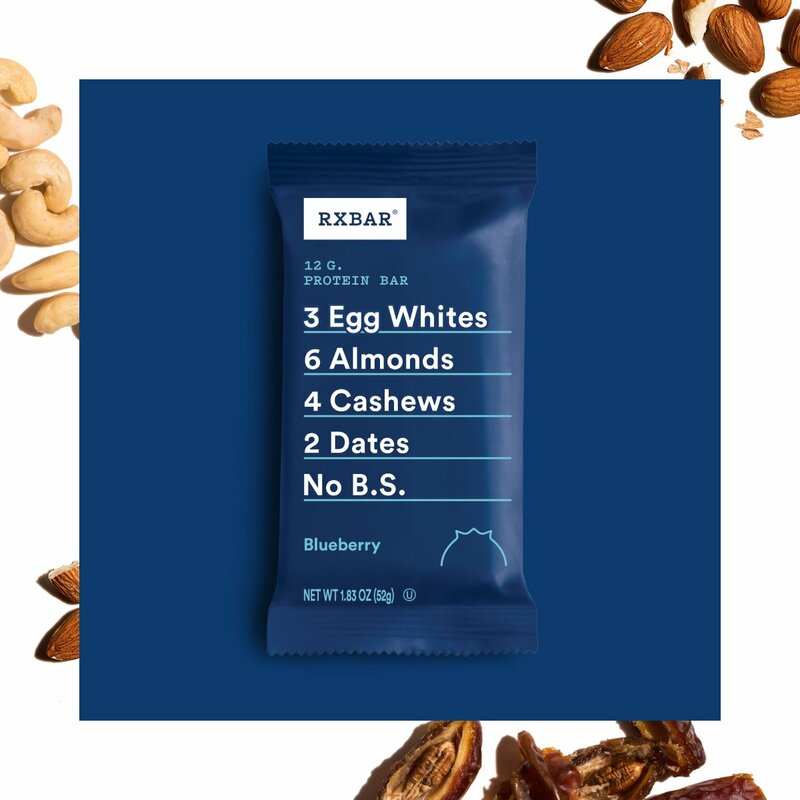 "RX Bars" are supposed to be coming on the 13th. Pielady you should try a different Jewel store. I go to the store in Evanston on Chicago Avenue and the store on Green Bay in Wilmette the most. The store in Wilmette has a better produce section, and they seem to have their act together more, but the Evanston store is better than it was a few years ago. I used to only go there because they had a really good clearance, and there were times I would find stuff 75% off. Since Jewel upgraded their computers last Spring, the clearance section is not nearly as good, but the store has their act together more than they did. It is the closest Jewel to me anyway. There are a lot of enlightened ice creams out there at Jewel, but you can still get regular ice cream. Right now they have Kemp's frozen yogurt on sale for 2/$6, and they have their store brand of ice cream on sale for the same price. I also saw some signature select pumpkin and eggnog ice cream on clearance last time I was at Jewel. Hey, nice! Thanks! I do occasionally shop out thataway, especially since I was hunting down ice cream, leading me to Heinen's. Have you tried Musselman's Applesauce?! Well now you can--for free! Stop in on Friday, January 18th and say "Musselman" at the register to redeem for free. Choose from 3 types of Musselman's Applesauce: Original, Cinnamon & Organic! (Valid 1 per customer on 1/18 only). At the Highland Park Jewel, they had Ditka's sports peppers on clearance for $1.99/pint jar. They also had the neon green relish, but I don't know the price. You,not me,will find these rice things in the Potato Chip & Popcorn aisle. Simple snacks, simple ingredients. 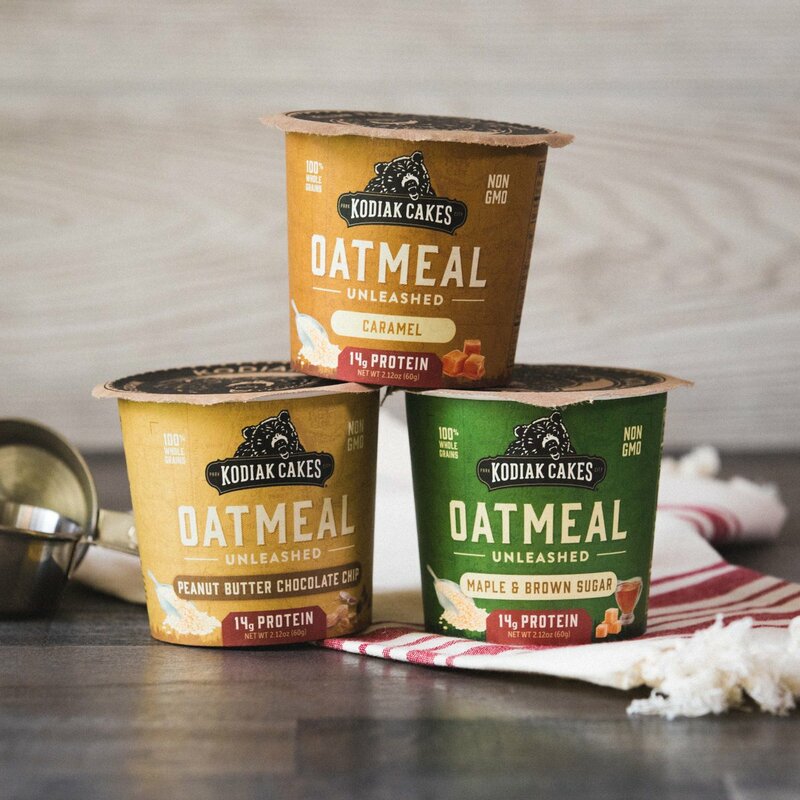 Made with organic whole grain brown rice, organic brown rice syrup, organic sugar cane and agar. Also, allergen-free! Stop in on Friday, January 25th to grab a package of Organic Crunchy Rollers! Say "Rollers" @ the register to redeem for free! Hormel Chili Compleats are perfect for this time of the year! Stop in on Saturday, January 26th and grab one for FREE! Just say "ComplEAT Satisfaction" at the register to redeem. (Valid 1 per customer on 1/26 only). Please note, this includes both With Beans & No Beans! Those rollers are not too bad. They taste like Post Honey Smacks or Sugar Smacks or whatever they are called from whichever generation you are from. My jewel had magnificent looking navel oranges today. 59c /lb, and they were massive and heavy. Two of those regular produce bags could fit about 5 of them, and the bags were close to 4 lbs each. seebee wrote: Those rollers are not too bad. They taste like Post Honey Smacks or Sugar Smacks or whatever they are called from whichever generation you are from. Have you popped one open? Sometimes those big oranges are all rind. You can weed those out by weight. Heavier = more juice. Two oranges, same size, if one is heavier, that's the better one. These things are HEAVY. Jr cracked one, and said it was nice and juicy, but not sugar sweet yet. 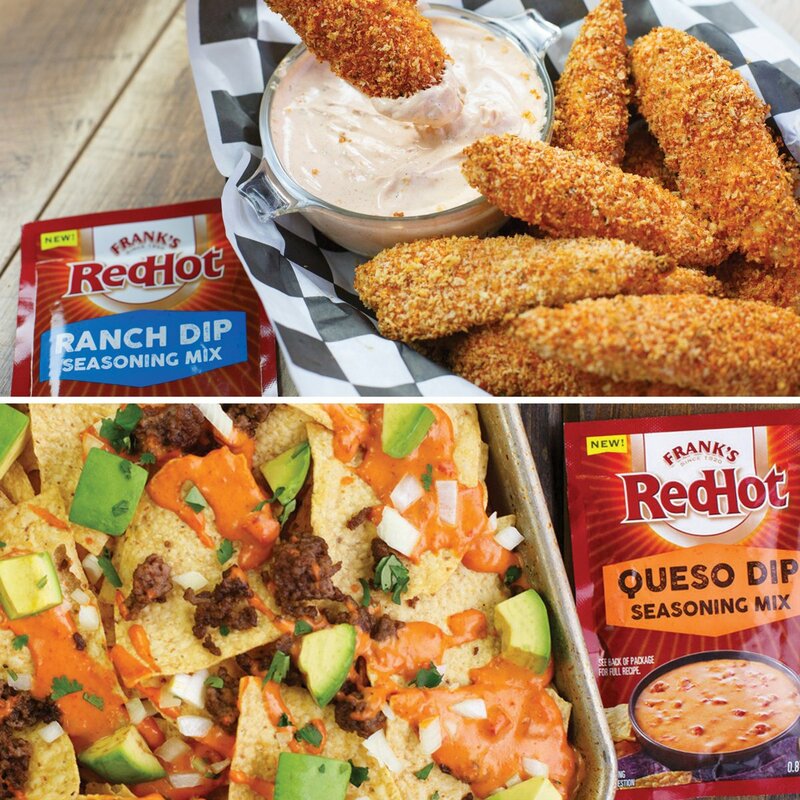 Try Frank's RedHot Queso or Ranch Dip FOR FREE on Saturday, February 2nd! Say "Frank's Dips" at the register to redeem! I forgot that Jewel does have an app on their shopplaywin website that allows you to scan the codes so you don't have to enter them by hand, but you still have to be signed in to mymixx. Somebody at mashupmom just informed me that they are going to continue to have instant winner coupons after all this year. She just got an instant winner coupon for a free loaf of french bread. NFriday wrote: I forgot that Jewel does have an app on their shopplaywin website that allows you to scan the codes so you don't have to enter them by hand, but you still have to be signed in to mymixx. Scanning the QR code also eliminates the need to detach the individual game pieces for the Monopoly board. The app keeps track. Installed the app on an Android 8.0 phone and I couldn't get anything to scan. Then I installed it on an Android 6.0 phone and it worked fine. As far as prizes go look forward to Animal crackers,donuts,cream cheese,frozen vegetables,canned vegetables & fruit,aspirin,and antacids as the more common prizes. You will be delighted to learn I opened a Monopoly ticket to learn I was an Instant Winner of dried pasta. I was at Jewel yesterday, and I got 7 tickets, and I opened them up in the store and found an instant winner of two free game pieces. Out of the nine that I ended up with, I got three coupons for items that I don't need, and I got 11 tokens. I think I am going to save my tokens so I can eventually get a grocery GC. I already have at 10 boxes of spaghetti, and so I don't need any more. I got some on clearance really cheap a few months ago. Anybody pick up the Saturday Sampler yogurt at Jewel yet? I picked up mine last night, and I did not care for it. It got the peach one, and it absolutely has no peach taste to it. It only has 2 grams of sugar. BTW- I stopped at the Jewel on Green Bay in Wilmette last night, and the guy that routinely works until closing on Saturdays, asked me if I was playing Monopoly, and I said yes. He gave me 64 Monopoly tickets. I expected to get a lot of free item coupons, and all I got was one for Shutterfly and another one for a free bagel. I also got four instant coupons for 2 free Monopoly tickets, and some coupons that I probably won't use. I also got lots of tokens which I am saving up for Jewel GC. I heard there is a limit of $25 in Jewel GC per my mix account. Wait... I need to have a MyMixx account in order to claim any prizes I might win? As somebody who will not relent to letting just anybody - especially who is in charge of the national government, send me a telephonic message - how am I going to claim a prize for collecting the property pieces of this game? I have five pieces (& the board) from a fabled jaunt a few days ago when I bought four boxes of Cheez-It snack crackers, on sale for $1.99 each, for $5.14 - due to a Catalina coupon for $1, and two $1 coupons from the SmartSaver Sunday supplement (which I|We still get - but not the Wednesday one [which is the one I really require] with the store ads and coupons). (My mother would smile at my 75% savings.) It looks like - for this week - when I get the 1987 Chevrolet Sprint out of the mechanic's shop, Jewel has deals I would need an automobile to get back to the abode here. If I strike it rich this week, how can I redeem it? Hi- You need a mymixx account to enter in any of the codes that are posted on the game piece. I don't think you need to have a mymixx account if you acquire the winning game pieces for any of the prizes on the board. You also don't need a mymixx account if you have an instant coupon to redeem such as a free donut. When you enter in your codes though you can win vouchers though that you can redeem for Jewel gift cards or free items or Fandango gift cards. I am hoping to collect enough vouchers to get a $25 Jewel gift card. I love my mymixx because then I don't have to clip coupons out of the Sunday paper, and you get free stuff on Saturdays, although not as much as you used to. Is it that you don't want big brother to have your email and phone number? So far I have won three free bagels and one bottle of water and lots of free tickets. It is easier to enter in the codes if you have their app. There is a new WOD at Jewel tomorrow 3/1. Get a free bag of epic crunch goldfish by saying the words "epic crunch"
These were offered 2 just weeks ago. Any good? Anybody won the gravy mix in the Monopoly game yet? All I have won so far is three bagels and one bottle of water. I still need 100 tokens to claim the $25 grocery gift card. Saturday Sampler is said to be a can of "Orange Vanilla Coca Cola". Check your MyMixx or email before planning your trip just to be sure. Undeniably delicious. Dip into something OH! so indulgent on us! Stop in and say "Oh!" at the register on FRIDAY, 3/8 for a FREE Double Cream Yogurt. 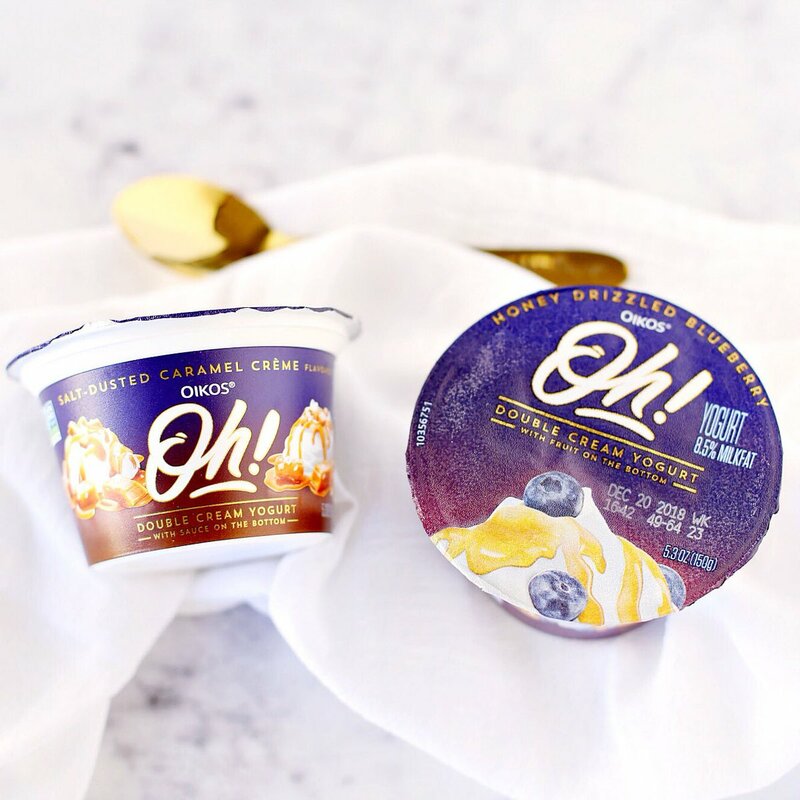 Luxuriously irresistible with double the cream of regular yogurt!